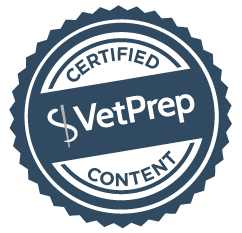 VetPrep was founded by three veterinary classmates who are now dedicated professionals. We are currently celebrating over 10+ years of success. More than 150,000,000 questions answered with over 10,000 active Daily Dose recipients. 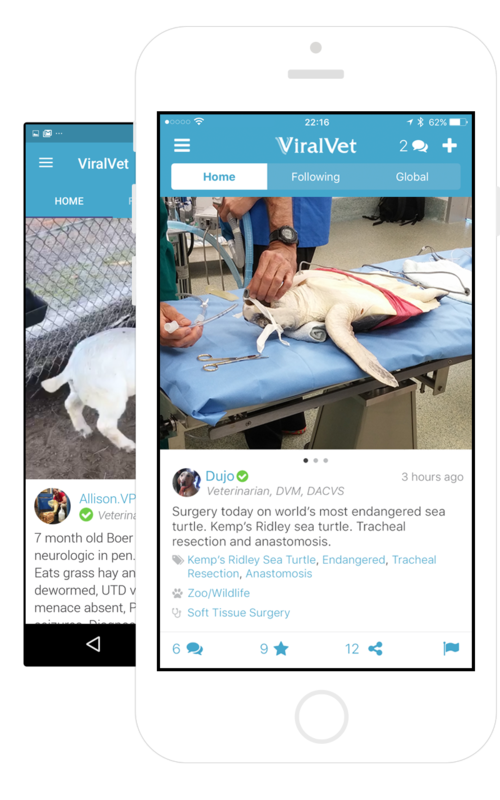 Each question goes through a three layer review process, while working with over 50 different veterinary content consultants. More than 50,000 students have used VetPrep to prepare for the NAVLE and over 99%* of VetPrep users pass the NAVLE®! There are VetPrep student representatives at over 45 schools across the world. Over 96% of these student customers recommend VetPrep to another Student. As you near the end of your veterinary education, we understand that your time is limited and valuable. This is why VetPrep has been designed to help you study in the most efficient and effective way possible. Our content is relentlessly reviewed, and it's close enough to the real exam that you'll feel confident, prepared, and ready to pass the NAVLE®. We know what passing the NAVLE® means to you. We know what it feels like to add those three big letters after your name. We know that the profession is truly a calling. And that's why we do what we do. We've taken the guess work out of what you need to know and packaged it so you can focus on learning. Our comprehensive pool of practice and exam-style questions all come with detailed explanations, and incorrectly answered questions are automatically recycled so you will see them again and again until you get them right. But we didn't stop there. We know it's probably been a while since you reviewed some subjects, like cranial nerves and causes of swine diarrhea, and you probably don't have time to look it all up again. Don't sweat it! We've got you covered with PowerPages: to-the-point pdfs on dozens of topics you are likely to encounter on the NAVLE®. Needing something a little more interactive for review? We covered that too with PowerLectures! These 5-15 minute videos are mini-lectures on the most NAVLE®-relevant topics, provided by experts, and are great for auditory and visual learners! Knowledge is only one piece of the puzzle. We don't want the unknown to trip you up on exam day! So we've made it top priority to model VetPrep after the real exam. Wondering how much time you have left? It's there. Need an on-screen calculator? We've got it. How about the ability to mark questions for later review, we've done that too. Want to highlight, strike out or add a note? No problem! *This data comes from the 2012 NAVLE-STPR. Even our timed-exams look like the real thing! By working your way up to six sets of 60 questions in one study session, you will be preparing yourself for the mental and physical strain of the real test. We even provide you with detailed statistics on your progress so you know where to focus your efforts, and how far you've come since beginning the program. For many students, beginning to study four to six months before the exam is adequate time. For those wishing to take full advantage of all PowerPages and PowerLectures, beginning six to nine months before the exam is the way to go. Focus first on strategic subject review, and then dive into the practice questions and timed exams. Remember, because of the way we recycle the questions you answer incorrectly, the ones you leave unfinished are the ones you kept getting wrong! The Progress Bar will help you know exactly what amount you have completed. If it says 75%, that means there remains 25% of the content you have yet to master. Don't leave it behind! We recommend you finish all of VetPrep before your exam, to put you in the best position for success. We relentlessly review our program to ensure that it's close enough to the real exam so you will feel confident, prepared, and ready to pass the NAVLE® and become a veterinarian. But exam prep is only the beginning, we're ready to do so much more. While we've made great strides over the years helping students, organizations, and veterinary professionals, we're finally getting the chance to spread our wings. We'll be your support through your days as a vet student, and through the months of preparation for your big test. We want to help YOU - and our profession - continue to grow for many years to come. Learn more below about VetPrep and our commitment to improving the field of veterinary medicine and the community pushing it forward.